Marian Drenth concentrates her practice in civil litigation with an emphasis in health care litigation and professional liability defense. She holds an AV® Peer Review Rating from Martindale-Hubbell, its highest rating for ethics and legal ability. Ms. Drenth’s practice also includes employment law and general liability. Her experience includes representing clients through Indiana’s Medical Review Panel Process, mediation and through trial. Ms. Drenth has successfully defended clients in over thirty (30) jury trials, many as first chair, in matters involving general negligence and medical malpractice claims. These matters include successfully defending physicians, hospitals and health care providers in a variety of cases. Through her experience, Ms. Drenth is able to offer her clients a well-rounded defense that includes not only thorough trial preparation, but also preventative counseling. Ms. Drenth speaks at in-house seminars for health care providers including hospitals, regarding preventative tools to assist in risk management. In addition to her health law practice, Ms. Drenth represents professionals in a variety of actions including legal malpractice and accounting matters. In addition, Ms. Drenth represents clients in employment law matters. Her experience includes counseling and assisting clients with employment law issues, including ADA, FMLA and claims before the EEOC. Ms. Drenth is a member of the Indiana State Bar Association, the Porter County Inns of Court, and Defense Trial Counsel of Indiana (DTCI). Ms. Drenth currently serves on the Board of Directors for DTCI and as a liaison for the Health Care Law Section. Before serving on the Board of Directors for DTCI, she served as Vice Chair of the Health Care Law Section. Ms. Drenth is also a Fellow of the American Bar Foundation. The American Bar Foundation is an organization of lawyers, judges, law faculty and legal scholars who have been elected by their peers to become members of The Fellows because of their outstanding achievements in the legal profession. Membership in The Fellows is limited to one third of one percent of the lawyers in America. She served as a board member of Porter County Inns of Court from 2006 – 2010 and was president of the Porter County Inns of Court from June 2009 – June 2010. During her term on the board, the Porter County Inns of Court was awarded the 2009 Circle of Excellence Distinction from the American Inns of Court, an honor awarded to only a select few. Throughout her career, Marian has tried over 30 jury trials, most resulting in verdicts in favor of her client. Trevino v. Comprehensive Care, Indiana Court of Appeals, Cause #45A05-1603-CT-683, affirming Trial Court’s granting of motion to dismiss on behalf of defendants, transfer to Indiana Supreme Court denied, 2016. “Protection of Drug and Alcohol Treatment Records” published in The Indiana Lawyer, Volume 23, No. 7, June 8-21, 2012. “Effective Witness Preparation,” ACH Panel Counsel Meeting at DRI Medical Liability and Health Care Law Seminar, Las Vegas, Nevada, March 2, 2017. NBI Seminar: “Human Resources Law: What You Need to Know Now,” Section “Is Your Employee Handbook Up to Date?” Essential Components and Sample Policies for Today’s Workplace,” December, 2013. DTCI conference: “Effective Direct Examination Techniques for Presentation of Expert Witness,” November 2012. “Opening Statement Strategies,” DTCI 18th Annual Conference and Meeting, French Lick, Indiana, November 17, 2011. “Practical Applications of the Stanley v. Walker Opinion,” DTCI 17th Annual Conference and Meeting, Michigan City, Indiana, November 18, 2010. 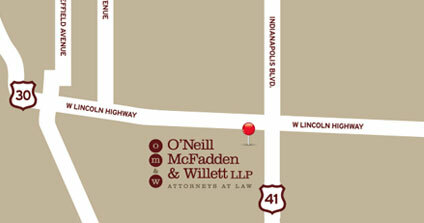 Ms. Drenth joined O’Neill McFadden & Willett LLP as a Partner in February 2012. 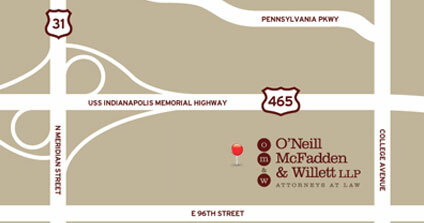 Before joining O’Neill McFadden & Willett LLP, Marian worked as an associate with Johnson & Bell, Ltd’s Indiana office from December 2008 through February 2012. Ms. Drenth also gained invaluable litigation experience as an associate and partner at Spangler Jennings & Dougherty, P.C. from October 2000 through November 2008. 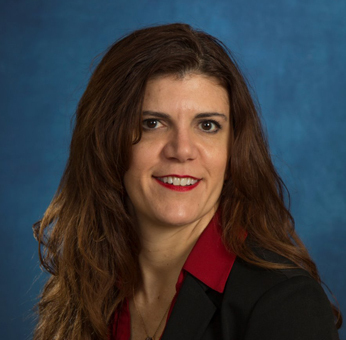 Ms. Drenth’s professional experience includes working as a managing associate with Daniel G. Suber & Associates from 1998 through October 2000 and as Deputy Prosecuting Attorney with the Porter County Prosecutor’s office from 1995 through 1998. Ms. Drenth holds AV® Peer Review Rating from Martindale-Hubbell, its highest rating for ethics and legal ability.